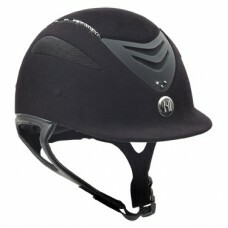 The popular One K™ Defender Riding Helmet with the added sparkle of genuine Swarovski crystals. The Defender features a Chamude® synthetic suede covered Polycarbonate and Advanced ABS Composite outer shell; injection molded shell design; washable quick-dry, moisture wicking, anti-microbial liner; stainless steel mesh; comfort padded harness with synthetic suede lining, hook & loop adjustment, and Fastex buckle; two side, two front, one back, and two center stripe vents. One K™ Horse Riding Helmets boast the perfect synergy between advanced technology and aesthetically pleasing design. With enough features to appeal to those seeking everything a helmet could possibly offer, wrapped in a package that traditionalists can appreciate, One K™ has the best of both worlds. Certified to ASTM standards. Regular/Round – Is shaped for a head which has almost identical front-to-back and side-to-side measurements. Long Oval – Is shaped for a head which is longer front-to-back (from forehead to the back of the skull) than it is side-to-side (ear to ear). All equestrian sports are inherently dangerous and involve the risk of serious injury or death. Riders using these products ride at their own risk with full knowledge of the hazards and risks associated with their activities. Helmets are designed for equestrian use only. Helmets cannot offer complete protection from injury or death to riders in case of fall, collision, impact, loss of control or otherwise. 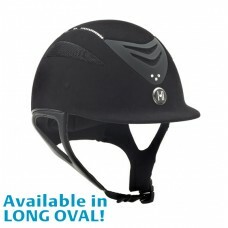 Helmets cannot protect areas of the head that are not covered. Helmets offer no protection against injuries involving forces other than impact. CAUTION: HELMETS MUST FIT WELL AND ALL RETENTION STRAPS MUST BE SECURELY FASTENED. Helmets are constructed so that the energy of an impact may be absorbed through partial destruction of the helmet. Helmets that suffer an impact should be destroyed and replaced. 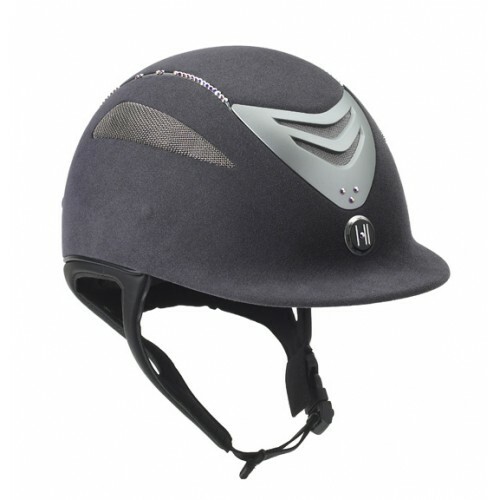 The protective qualities of helmets may be compromised by prior impact, age, use and many common substances. Always follow the manufacturer’s recommendations before applying cleaning agents, paints, or adhesives. English Riding Supply disclaims any responsibility for injuries or death incurred while wearing any of the helmets offered for sale. Representations regarding testing results, equipment ratings, product specifi cations, ASTM and/orSEI standards, and the adequacy of all such standards and designations are made solely by the product’s manufacturer. 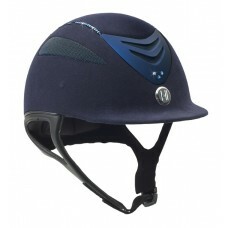 English Riding Supply does not warrant or confirm the representations of the manufacturers. English Riding Supplly makes no representations express or implied regarding the fi tness of these products for any particular purpose nor the extent to which the products protect riders from injury or death. All contents ® 2019 One KTM Helmets.